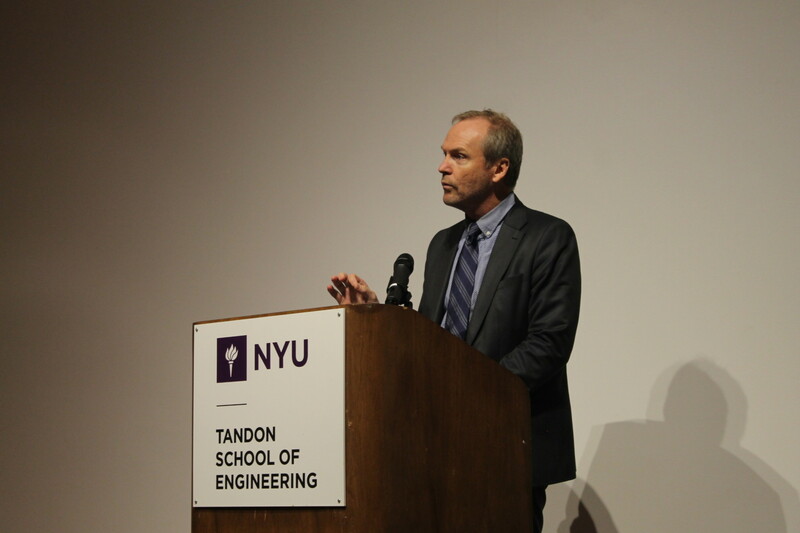 The New York State Society of Professional Engineers (NYSSPE) recently held the 3rd annual New York City Design Professionals Day at NYU Tandon School of Engineering. The day started with an inspiring kick-off speech by New York City Department of Buildings (DOB) Commissioner Rick Chandler, P.E. and was followed by technical sessions from DOB, Department of Design and Construction (DDC), and Department of Environmental Protection (DEP) representatives. It was clear that the running theme for the day was: SAFETY in engineering…. Commissioner Chandler talked about how engineers who cut corners are endangering the lives of our citizens, and should not be allowed to continue to practice engineering. He cited specific examples of some recent instances in New York City, and the actions the DOB has taken against the individuals at fault. Chandler also discussed the DOB’s new Build Now initiative, an online system for submitting applications, which seeks to reduce reliance on paper-based processes and enhance the DOB’s ability to share information. Dan Eschenasy, PE, F.SEI, Gus Sirakis, PE and Bharat Gami, RA from the DOB spoke on the engineering principles that are used to establish a monitoring program during excavation, underpinning, demolition, blasting and alterations. They gave many examples of how to and not do establish these programs. Thomas Foley, P.E., Associate Commissioner for the Department of Design & Construction (DDC) spoke on the city’s efforts in dealing with impacts due to climate change and resiliency in Manhattan. 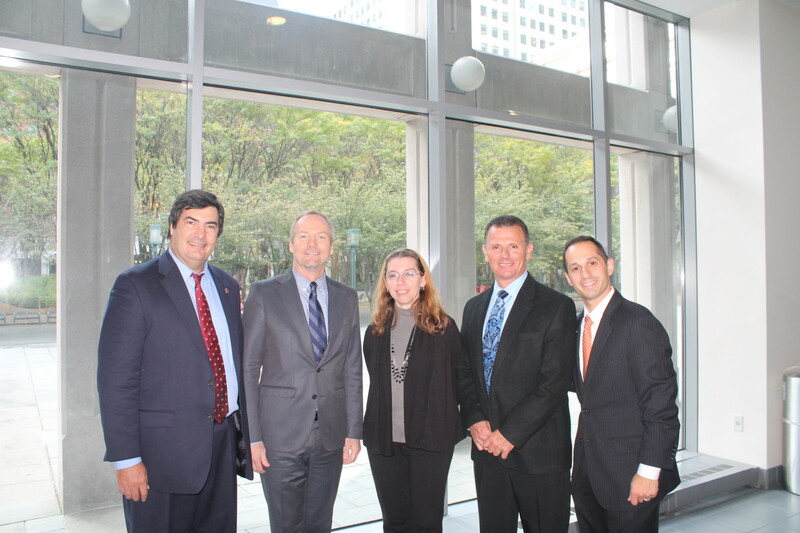 The talk discussed many of the safety factors considered the resiliency efforts. John Chiusano, RA and Geoff Eisele, PE from the DOB spoke on common errors and omissions that are observed with DOB plan reviews and audits for site safety, demolition, and support of excavation submissions. Lastly Joe Olewnicki, PE from the DEP gave an overview of the Department of Environmental Protection (DEP), the Bureau of Wastewater treatment and the engineering program. The running theme of safety was completely in alignment with the mission of NYSSPE, which is to defend and promote the lawful and ethical practice of engineering to ensure the health and safety of the public. It was a great day overall, and NYSSPE is grateful for all of the speakers and design professionals who took part.